We’ve just fixed a major bug in Gravity Forms Nested Forms that may result in data loss if you are affected. Orphaned child entries are created when a user submits a nested form but never submits the parent form. This is anticipated behavior and GF Nested Forms will automatically trash these orphaned entries after one week. Due to a coding error, all child entries were being trashed after one week, even when they were not orphaned. 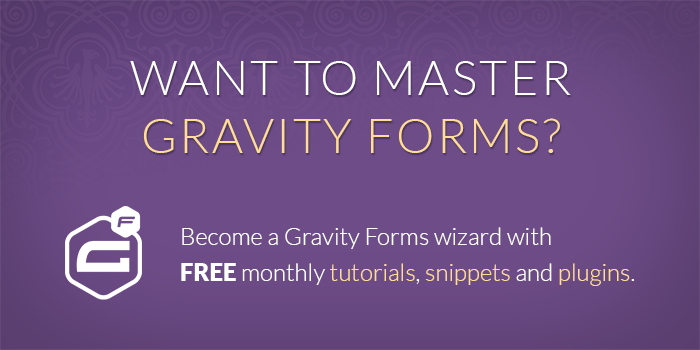 This issue only impacts users running GF Nested Forms and Gravity Forms 2.3. Fortunately, we’ve caught this issue before Gravity Forms 2.3 was released and implemented a fix. You do not have Gravity Forms 2.3 installed. You have Gravity Forms 2.3 installed. If you are affected, please follow these steps to upgrade immediately. Deactivate and delete GF Nested Forms. Re-install GF Nested Forms from your Manage Perks page. After upgrading, you should inspect the entries for your child forms and untrash any entries that were incorrectly trashed. Please note, the latest version of GF Nested Forms requires Gravity Forms 2.3 which is available via auto-update. It’s a little odd that there is no email address that we can ask pre-sales technical questions and have to post in a blog. INBOUND: I need to know if I can create and pre-populate a form that has nested and repeatable rows (like a baseball) team via API?? I see there is an “export” nested form limitation has well, but can the data in a form that contains a nested form with a table that contains repeatable rows be read via API as well? Hi Ben, we have a pre-sales form here: https://gravitywiz.com/have-a-question-about-gravity-perks/ We’ll be happy to answer your questions there. Do I have to purchase gravity forms before I use the GF nested form? Hi Joe, yes, Nested Forms is an add-on for Gravity Forms. Hello, I just downloaded (from my list of downloads in my account) and installed GP Nested Forms. It seems to have successfully replaced an older version that predated the recent bug fix, and is now appearing as a standalone plugin in my plugins list. The listed version after today’s upload and activation is GP Nested Forms v.1.0-beta-5.7; the dashboard is still displaying the warning that I need to update Nested Forms. What’s up with all this? Do I have the correct version to run with GF 2.3.x, and if not, how do I get it? Hi Laurie, you can click the close button (x) to dismiss the message. Thank you David — so this is the updated plugin, then. I wasn’t sure. Sorry for the confusion, Laurie. Using the new announcement system for this kind of an update ended up being a bad idea. We’ll communicate these kinds of updates differently in the future. What if you haven’t updated yet to GF 2.3 but plan to? Hi Bryan, you won’t be affected by this issue currently. When you’re ready to update to GF 2.3, update Nested Forms first. Great, thanks for the quick reply David. What if you are using the 2.3 beta rc-5? Hi Leah, yes, any version of 2.3 is affected by this issue.